May 12, 2016 – NEW YORK, NY – Persado, the leading cognitive content generation platform, today announced that Greg Dale has been appointed Chief Operating Officer of Persado. Dale will report directly to CEO Alex Vratskides and will be responsible for business strategy, operations and execution. Dale joins Persado from comScore, where he previously served as Executive Vice President of International, guiding comScore in its expansion across 44 countries and tripling the division’s worth to more than $100 million. Previously, Dale also served as Chief Operating Officer at comScore, where he managed all aspects of the company’s operations. As a founding member, he played a critical role in the creation of comScore’s core syndicated products and led the company through a high-growth period in its journey from startup to initial public offering. 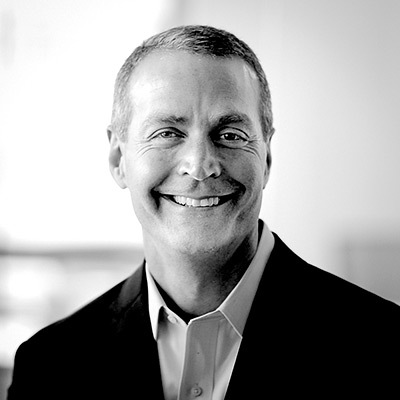 Prior to joining comScore, Dale served as Vice President of Client Services at Paragren Technologies, which is now part of Siebel Systems/Oracle. Earlier in his career, Greg provided advanced analytical services and consumer response analyses for marketing and sales applications at Information Resources, Inc.
Dale currently serves as an advisory board member for Shareablee, a social analytics startup based in New York City. Persado’s cognitive content platform determines the precise emotions that will elicit a reaction and is fast becoming the advantage that major brands are using to get ahead of their competition. Since 2012, Persado has deployed thousands of marketing campaigns across a wide range of channels for nearly 100 global brands, including Fortune 100 companies as well as mid-sized organizations.